Set to be unveiled at the 2015 Frankfurt motor show prior to the start of UK sales at the start of 2016, the reworked roadster sports a number of minor exterior styling tweaks, including a revised front bumper and altered headlights graphics, as part of the mid-life makeover. 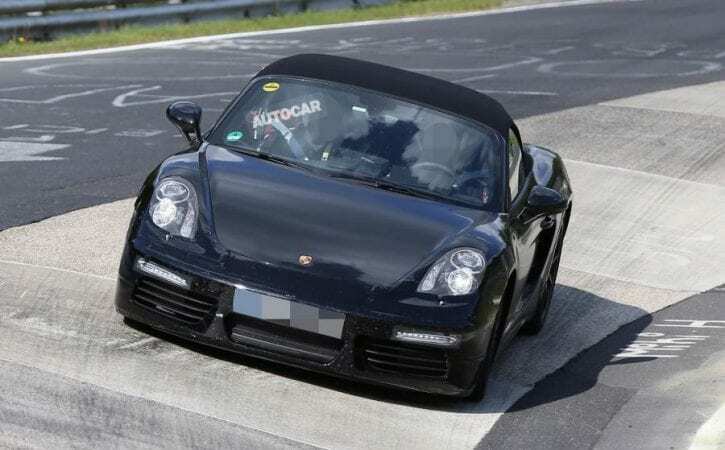 It is the second revamped Porsche to be spotted testing after the updated 911, which was seen recently. Recent information suggests the new flat four engine will range in capacity from 1.6 litres to 2.5 litres, with power otputs from 210bhp through to the 395bhp alluded to by Mueller.